KENSINGTON, Canada -- A police department in Canada is taking an unusual approach to curb drunk driving over the holidays by threatening to force offenders to listen to Nickelback. 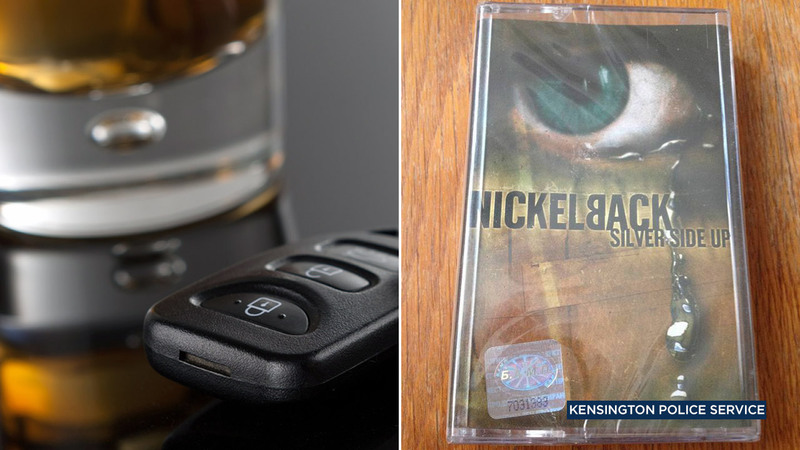 The Kensington Police Service posted an image of Nickelback's "Silver Side Up" album to Facebook and explained they expected to see more drinking and driving over the holiday season. "The Kensington Police Service will be out for the remainder of year looking for those dumb enough to feel they can drink and drive. And when we catch you, and we will catch you, on top of a hefty fine, a criminal charge and a year's driving suspension, we will also provide you with a bonus gift of playing the office's copy of Nickelback in the cruiser on the way to jail," the police department wrote on Facebook. Authorities urged drivers to have a designated driver, have a number to a cab company handy, or plan to stay over at a friend's place. But for those who choose to drink and drive, the police department said it had just the right gift. "Now, now, no need to thank us, we figure if you are foolish enough to get behind the wheel after drinking then a little Chad Kroeger and the boys is the perfect gift for you," the police department wrote on Facebook. "So please, let's not ruin a perfectly good unopened copy of Nickelback. You don't drink and drive and we won't make you listen to it." Nickelback, a rock band formed in Canada, shot to fame in the early 2000s with songs such as "Photograph" and "Rockstar."